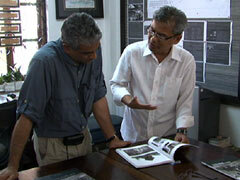 FRED DE SAM LAZARO, correspondent: To the world outside, Cambodia may be best known for its killing fields. A quarter of this country’s population perished during the genocidal Khmer Rouge reign in the 1970s—some two million people. DE SAM LAZARO: Three decades later Cambodians have been able to tune in to the first Khmer Rouge trial. It may seem so little so late, but supporters say the international tribunal could help this country finally move on—help shed light on a period most know little about. Two-thirds of today’s Cambodians weren’t even born during the Khmer Rouge years. 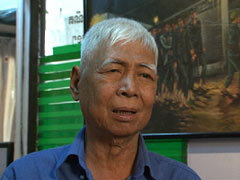 KAENG GUEK EAV (former Khmer Rouge prison chief, alias “Duch”): We treated them as if they were already dead. I allowed four torture methods. DE SAM LAZARO: Kaeng Guek Eav, better known as Comrade Duch, is the first to stand trial. He was commander of the notorious Tuol Sleng prison. Under his watch at least 14,000 men, women and children were photographed and documented in a macabre administrative process. They were then tortured and killed. 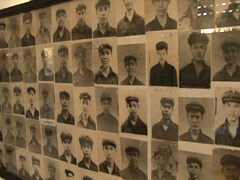 Chum Mey was one of only seven prisoners to survive. He finally had his day in court recalling the torture he suffered, as the man who now has admitted responsibility and “heartfelt sorrow” looked on. CHUM MEY: On the 10th day they electrocuted me. Every time I think of the Khmer Rouge I think of my wife and children. DE SAM LAZARO: Chum survived because he was a mechanic with skills the Khmer Rouge needed for fixing sewing machines. Today, ironically, he earns a living giving guided tours of the prison, which is now a museum. CHUM MEY: This woman’s husband was a Khmer Rouge soldier. He was killed, and they arrested her. 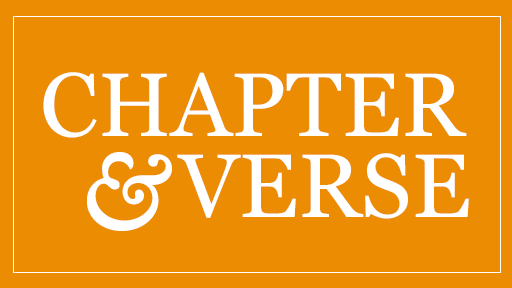 DE SAM LAZARO: On this day Chum told his story to Eric Stover, a California-based human rights activist who is studying the impact of international courts on societies in general and on individual victims. ERIC STOVER: One of the things I think people will be looking at is to make sure that somebody who is responsible like Duch was for up to 12-, 13-, 14,000 deaths—that his sentence reflects the gravity of those crimes. DE SAM LAZARO: But in a land unfamiliar with the ways of the tribunal, some people, especially survivors like Van Nath, think it’s too lenient. His life was spared so he could paint portraits of Pol Pot, the Khmer Rouge leader. He now sells paintings of his painful memories. STOVER (speaking to Van Nath): So everyone was blindfolded when they were taken into Tuol Sleng. DE SAM LAZARO: Van Nath says testifying at Duch’s trial made him angry, at the cross-examination and at seeing how well the defendant seemed to be treated. VAN NATH (in translation): It was just like a shock when I go there to the court and see him. When I tell them the truth they doubt me, ask me a lot of questions. I don’t feel the trust when I tell them, and that makes me feel bad. It seems like the accused person has more rights that the civil parties do, and I’m really not satisfied with that. DE SAM LAZARO: Many also are dissatisfied with the slow pace of justice. It was delayed for years by cold war politics and a reluctant Cambodian government that still has former members of the Khmer Rouge in it, though none was senior enough to stand trial. 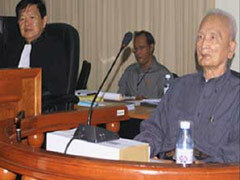 Negotiations led to a court which has two international and three Cambodian justices. It will try only a handful of prominent surviving Khmer Rouge leaders. DE SAM LAZARO: Justice delayed may be justice denied for many victims, but Chum Sirath, who started a group called the Victims Association says that despite the limited number of defendants, the court sends an important message. CHUM SIRATH: If you can have a bigger number, more number, it would be better. But if not, it’s better than nothing. Even after 45 years when you commit a crime there will be people who try to put you, to take you into account. This is one of the lessons that young generation can learn. DE SAM LAZARO: Eric Stover is among those who have pushed the court itself to teach some of those lessons—a role courts don’t usually take on. STOVER: I don’t think any court should be expected to be a social engineering institution, but what we can expect from them is that they should have vigorous programs to try to go out into the population and describe what they’re doing, why they’re doing it, and what their limitations are. DE SAM LAZARO: He says after a slow start the court did launch outreach programs. Twice a week buses have brought thousands of Cambodians on field trips. I asked this group of visitors how many had ever heard of the court before coming here. A weekly television program during the trial brought the court a much larger audience. TELEVISION PROGRAM (in translation): Now we’re going to see a selection of evidence given to the court about some of the crimes with which Duch has been charged. Viewers should be aware that some but not all of the stories told here were denied by Duch. DE SAM LAZARO: Matthew Robinson produced the series with grants from Western donors. MATTHEW ROBINSON: We have to devise a language and to base our understanding of what was going on in the court that would be intelligible to people whose basic knowledge of legal proceedings, indeed court proceedings, is minimal indeed. TELEVISION PROGRAM (in translation): Thanks to everyone here for this discussion of Duch’s trial. We hope that this will encourage you at home to talk together about this topic so vital to Cambodia’s future well-being and progress. DE SAM LAZARO: The program has also encouraged dialogue between survivors and a younger generation that has heard only whispers about the atrocities. ROBINSON: Anybody from 25 down are not so much skeptical about it, but they lack knowledge. Parents seem to be reluctant, maybe even embarrassed, to talk about what happened to them. DE SAM LAZARO: Youk Chhang wants to make sure young people get the knowledge they need even if their parents won’t talk about it. YOUK CHHANG (Director, Documentation Center of Cambodia): This is the textbook for grade 9-12. DE SAM LAZARO: He’s director of the Cambodia Documentation Center, which has published a textbook that is now being provided to one million Cambodian students. YOUK CHHANG: Start from the creation of the Khmer Rouge movement all the way to the fall of the Khmer Rouge in ’79. DE SAM LAZARO (speaking to Youk Chhang): Most kids growing up in this country have never learned about it? YOUK CHHANG: They never learned about this, but they heard about this. Right now the first time in 30 years from grade 9-12, also the foundation year of every single university, allow to study Khmer Rouge history, and education is very important in terms of preventing genocide in the future. It’s all about the future. DE SAM LAZARO: The verdict and sentencing are expected early in June. Survivors like Van Nath hope it brings justice. VAN NATH (in translation): The verdict should be balancing what Duch has done, how many people he killed and how many he caused suffering. For me, I can’t forgive. DE SAM LAZARO: And even though the Cambodian tribunals may be years late, Eric Stover says that’s not historically unusual. STOVER: The interesting thing is President Chirac in France was 55 years later after the Holocaust that he actually apologized for the French police sending off Jews to be sent to the concentration camps. So one of the things we have to learn is when mass violence hits a country, a society, and tears it apart, it takes a long time for it to repair itself. DE SAM LAZARO: The Cambodia tribunal’s next case—a joint trial of four elderly former Khmer Rouge officers—is expected to begin in 2012. For Religion & Ethics NewsWeekly, this is Fred de Sam Lazaro in Phnom Penh.